CREWTEN.COM ENGINE CAM Everyone wants to ride in the engine Enjoy your ride! I wish to thank our Southwest Chief Locomotive engineers for making this page possible. 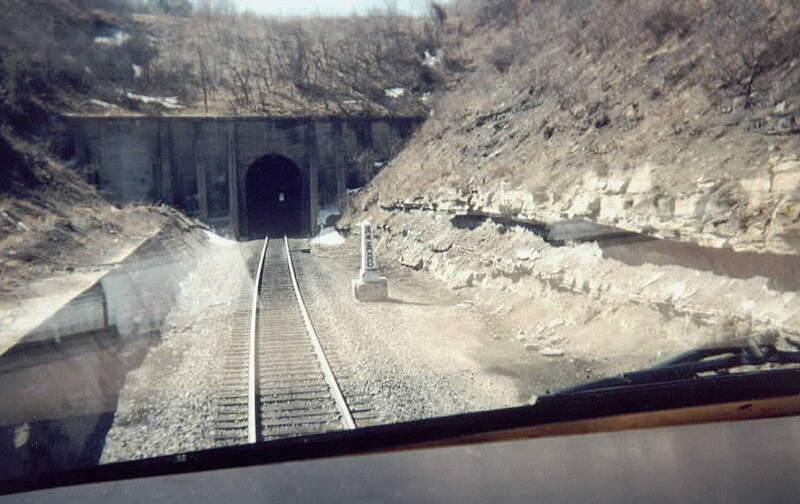 The photos below were taken in the first quarter of 2000.La Junta,CO-Albuquerque,NM tour 2.
the entrance of the tunnel.The Raton tunnel is approximately one half mile long. Some of the train is in the Raton tunnel some of it is not. Note the reflection of either a tank or sign in the engines mirror. 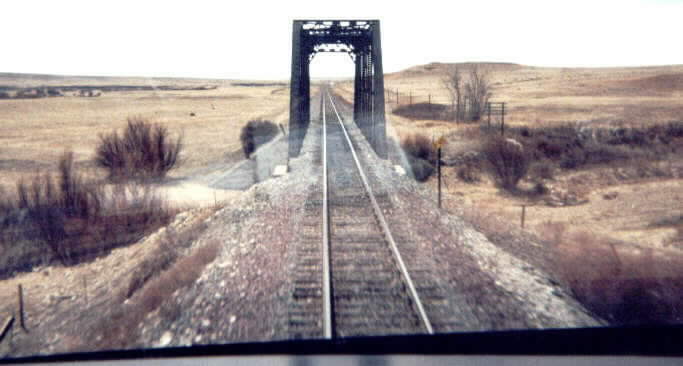 Our train is now going down hill you can seel it in the photo. A meet in the mirror as train 3 and 4 pass each other. 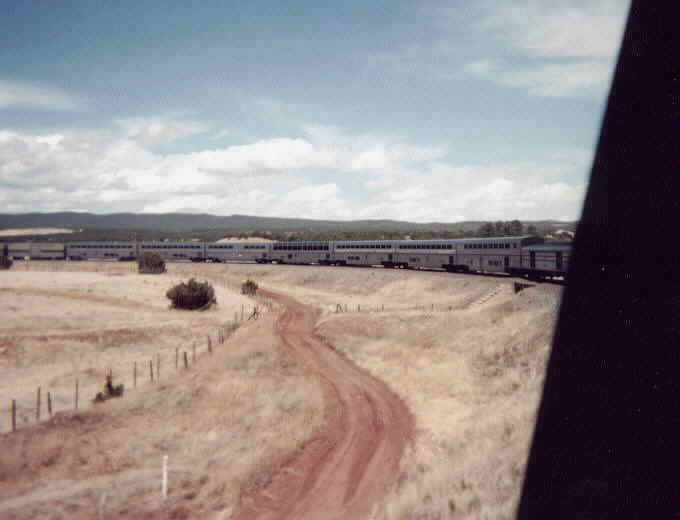 cars in the trains consist.Behind the sleeping cars are the mail and express cars. 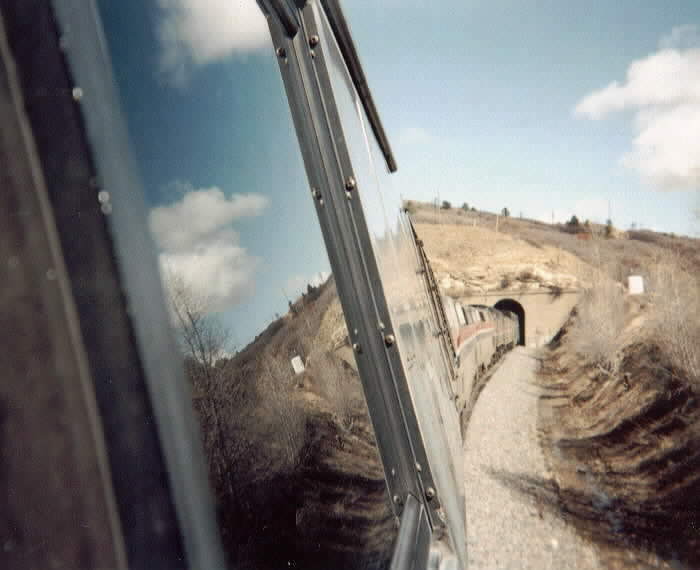 Train 3 going around the famous S-curve as seen from the engine.